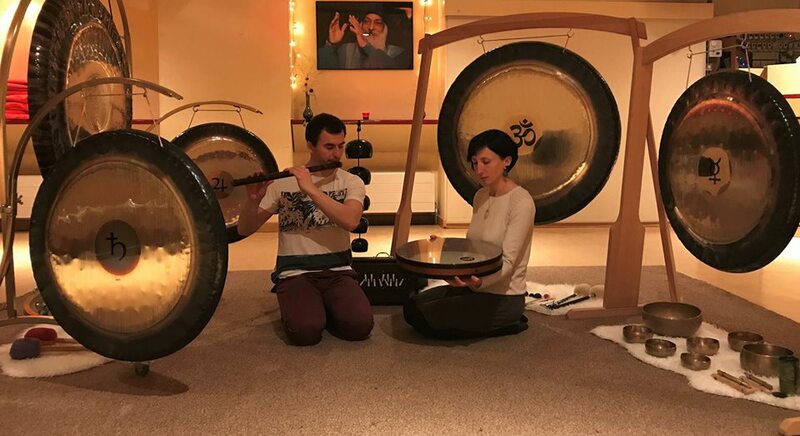 Join us Friday 5 April at 7 PM for a sound relaxation experience with many different gongs, singing bowls, koshi bells, flutes and other instruments. An opportune occasion to send the mind and body to realms of deep restoration and to let the vibrations of the instruments literally wash away any tensions or blocks. New Moon represents the start of a new lunar cycle, symbolising new beginnings. Let us use the energy of the new Moon to reflect on the old goals or set new ones. You will lie down for 90 minutes, it is advisable to wear light and comfortable clothes. You can find in the studio thick mats and blankets. Please take care that you arrive with at least 10 minutes earlier. The studio will open from 18:20. Latecomers will not be allowed in. This is the only moment you have got.